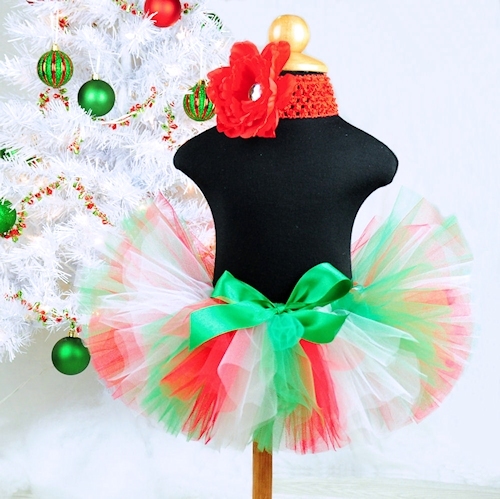 Red, white and green Christmas tutu for baby, girls and women. 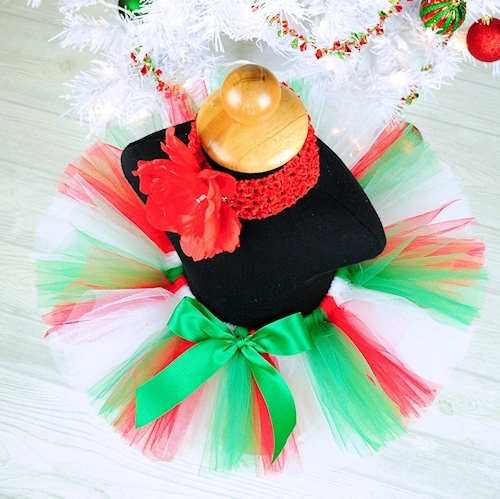 Red, white and green tulle make this tutu a fabulous choice for your Christmas portraits, special holiday occasion or gift. Tutu includes a satin bow at the waist and optional flower clip and stretch headband.